One step inside the large circular dining room with its plush carpeting, draping curtains, art nouveau glassware and awe-inspiring modern rope chandelier, portend a memorable meal in the height of elegance. 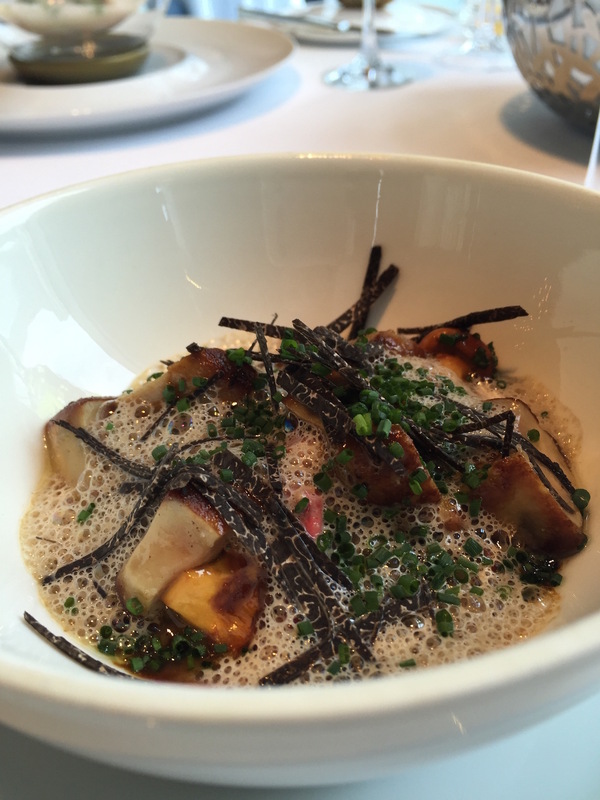 The Two Michelin stars earned for The Tasting Room and chef Guillaume Galliot further hint at something extremely special. A glass of Champagne Fleury Blanc de Noir, made only with black grapes, delighted the palate from the start with a slightly more robust bang than you get with most champagnes. 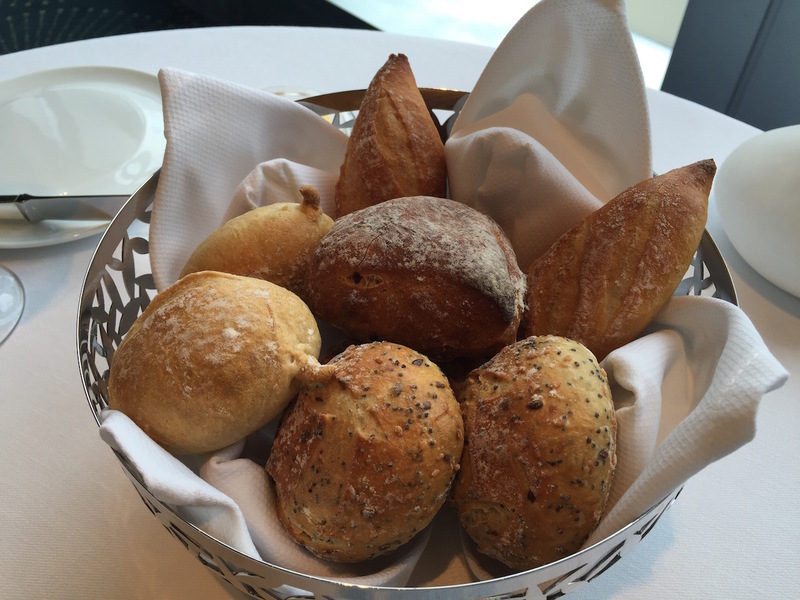 We do a bit of fawning over a beautiful bread basket and this deserves some praise with its Brittany salted butter, cereal breads, raisin rolls and mini baguettes. Famed for the crab salad, I was delighted when this bowl of beauty arrived. 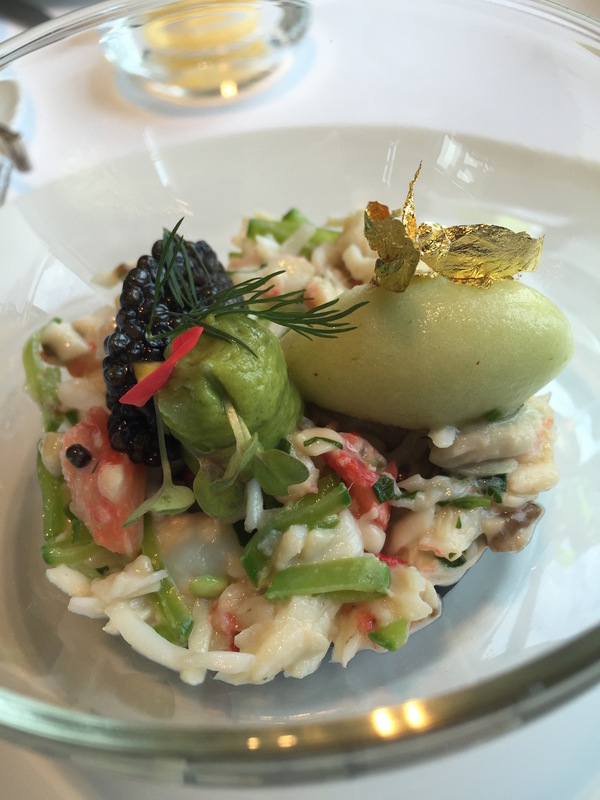 The shards of cucumber and hearty chunks of crab providing the bed for a dollop of green apple sorbet, an avocado mousse, cucumber jelly and a generous scoop of French maison nordiques caviar, this was the most glorious collection of flavours, colours and textures. This is a very special salad with the combination blending seamlessly with each mouthful. The lobster and foie gras with a yellow wine emulsion was hard to fault but somehow was our least favourite of the meal despite being perfectly cooked and compiled. There are not enough superlatives to describe this heaven-in-a-dish. 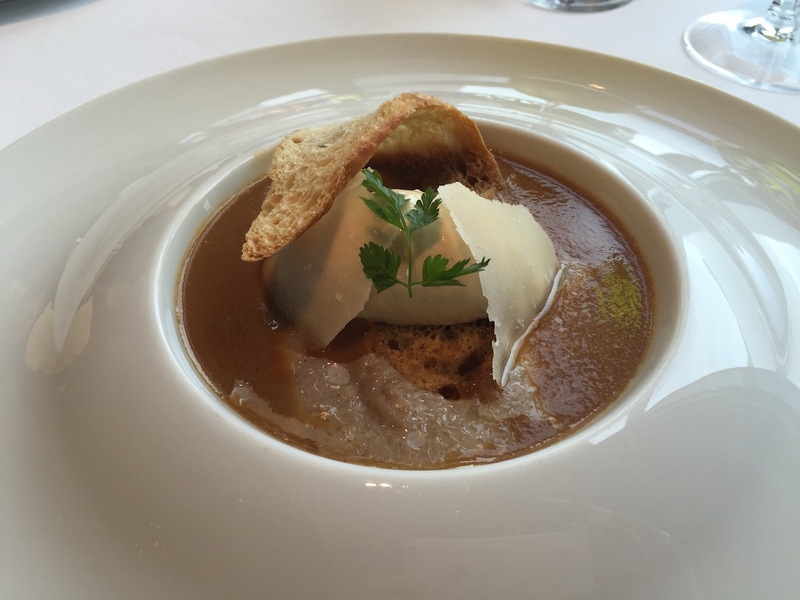 We know many would argue the crab salad was an impressive feat of a dish but this contemporary onion soup with a hearty dollop of onion ice cream just shouldn't work and yet its the most deliciously mind-blowing thing we have had the pleasure of tasting. A curl of French baguette and shavings of park cheese, this onion compote meshes hot with cold into a medley of soup-filled dreams. We're gushing, we know, but it really tasted that good to us. 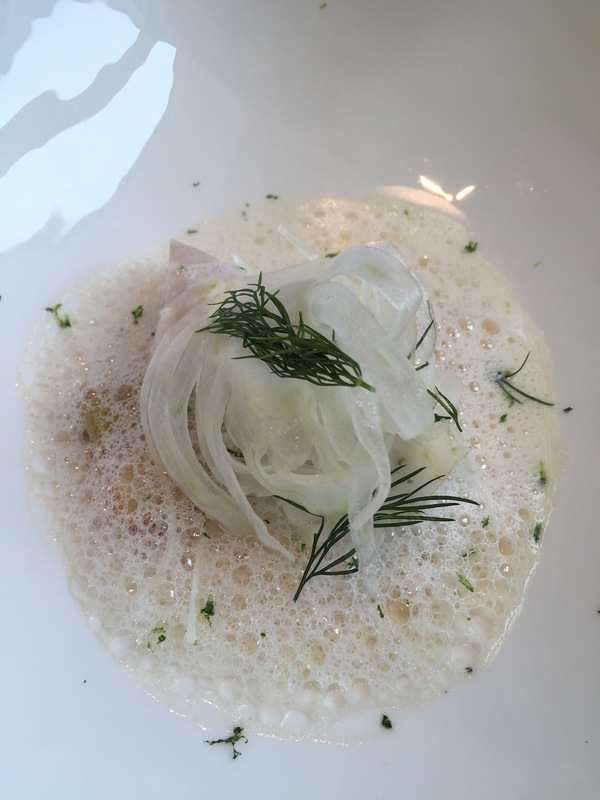 The stuffed Dover sole in a champagne emulsion on a bed of baby leeks didn't photograph as beautifully as it appeared in person with its angelic colour tones and subtle flavours that followed the rich soup in perfect succession. 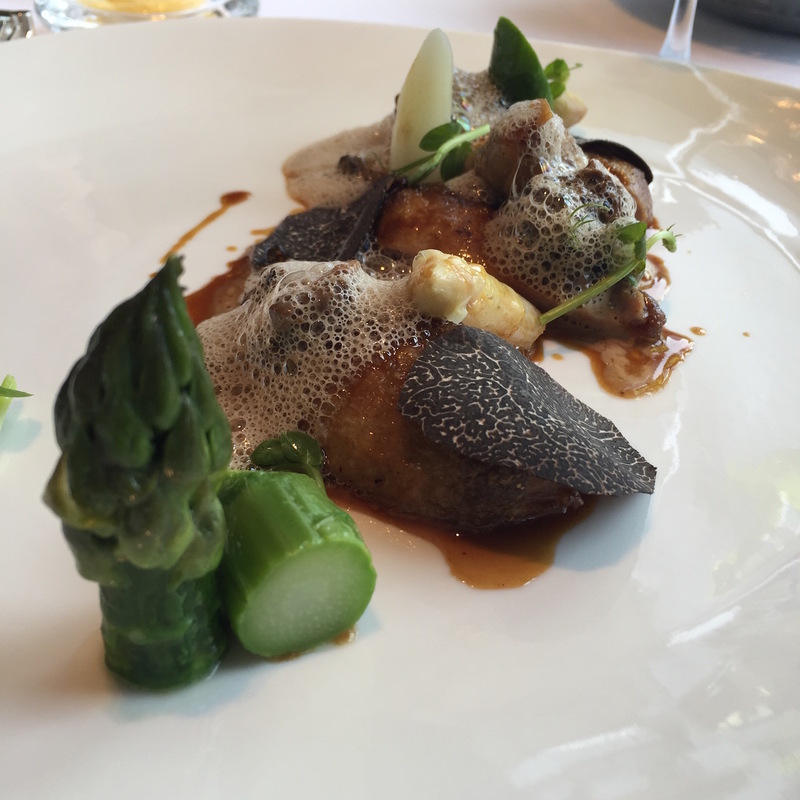 This little forest of delight was in fact a quail samosa hidden by shavings of aromatic black truffle and a yellow wine emulsion with white and green asparagus for bookends. 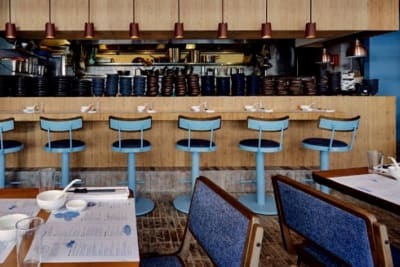 The strong flavour of the meat, and the light crunchy and pungent veg, made for a textural oasis, something Galliot seems to excel at with every dish. Now this little number was where The Tasting Room had a little fun away from the serious business of top tier cuisine. 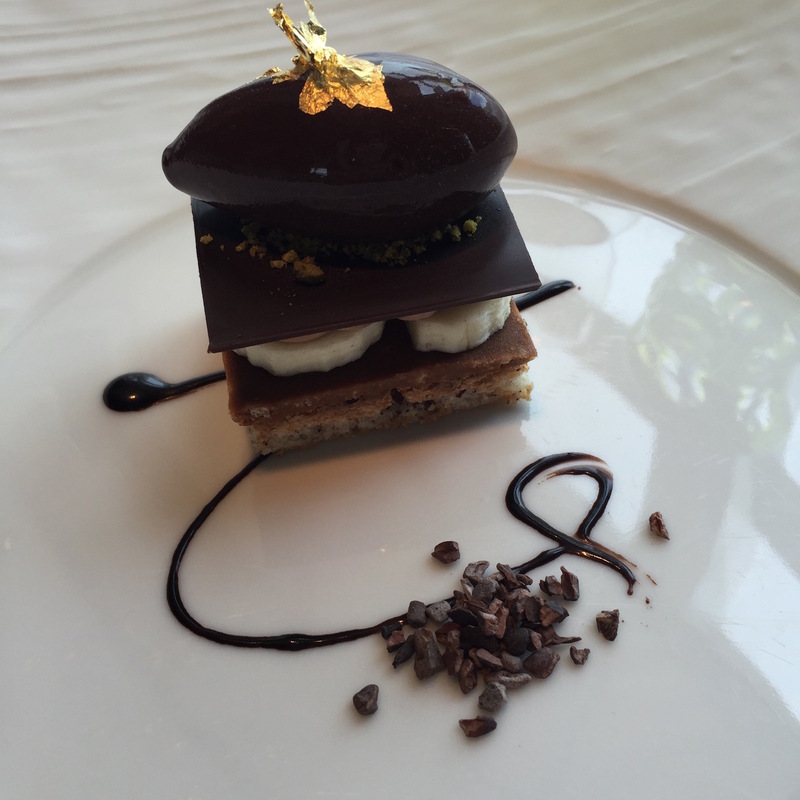 A chocolate mille feuille with crispy rice, banana, chocolate sorbet, and a hint of pistachio. The banana and crispy rice injected a childhood element we enjoyed enormously as an end to an otherwise elegant dessert. 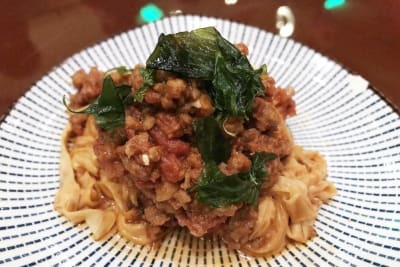 Amazing meals, rather remarkably, are put before us all the time in our blessed profession, but The Tasting Room really is in a realm of its own for quality, creative, beautiful, delicious dishes delivered with impeccable service.